Well here we are only 4 months until our next Quantum Life International Annual Symposium. With Puerto Vallarta as the host venue, this is an event you simply don’t want to miss! The gauntlet has been thrown ~ Can we better last year’s event? Quantum Life says yes! Exciting news.... we have decided to expand our Symposium to 4 days to accommodate the L.I.F.E. System basic training. Day 1 will be a dedicated basic training followed by 3 days of Intensive Advanced LIFE System Training. Specialist guest speakers will expand your views on holistic healthcare! Is there anyone you would like to hear as a presenter at our Annual Symposium? Quantum Life want to make this the best event yet and we need your feedback. Let us know who you would like to hear! Email ryan@quantum-life.com to share your thoughts. The greats will be there of course: Dr. Denny Thompson, Dr. Sherry Greenberg, Dr. Linda and Paul Henderson, Chris Keser and Mike Slivinski developer of the L.I.F.E. System. Now you all have been waiting for the official release. Everything is going according to plan and we will keep you posted as soon as we are notified. In our opinion this is going to be nothing short of revolutionary. Great News! In Puerto Vallarta we will be unveiling The New L.I.F.E. Hardware Upgrade with the help of both Chris Keser and Mike Slivinski developers of The L.I.F.E. System. For those of you that have never attended our International Symposium this really is a must. It provides you with an opportunity of meeting the staff of both Quantum Life and Living Information System and learning from guest speakers from around the world. It is a very informal environment and the focus is on making new friends and learning the latest cutting edge protocols. More information on the venue will follow shortly. In the mean time pack your sunscreen~ Puerto Vallarta here we come! This was, in fact, the biggest and most successful promotion ever in the history of The L.I.F.E. System! No other broker has had this much success with a promotion. And, we owe it all to you. There were 356 entries or 356 raffle tickets to choose from. If you missed it, we had the drawing LIVE using MegaMeeting on Saturday, July 1, 2006 at 7 PM PST. A great thank you to all The L.I.F.E. System community for making this possible. There was a lot of excitement with this promotion and in our opinion those that won the prizes truly deserved them. Go forth and heal the world! Quantum Life are always looking for ways to better improve our service to you, our friends and clients. With this in mind may we ask you to partake in a small survey so that we may better know how to serve you. Once you have created your own profile on www.biotechpractitioner.com we have 7 template websites for you to choose from. You can change the theme as often as you like. People can even make appointments online through your website! Check out your fellow L.I.F.E. System Practitioners Websites: You can get one too… It is extremely easy; just try it! 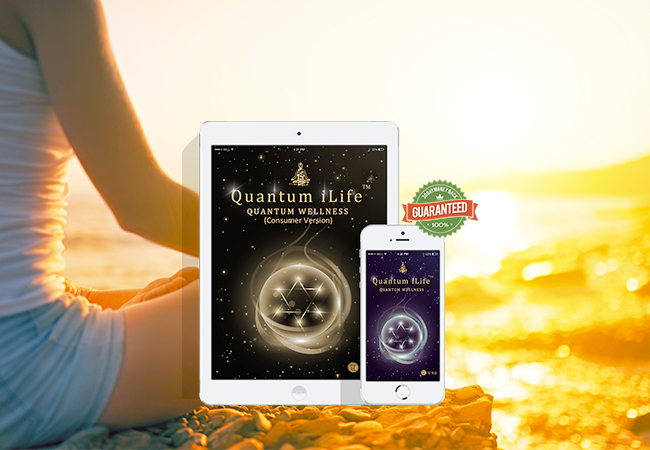 Why Purchase From Quantum Life? Last week the staff of Quantum Life had a "pow wow" and put our heads together to see exactly what Quantum Life has been up to since representing The L.I.F.E. System. Our company is dedicated to The LIFE System, we are a full time brokerage company, not practitioners brokering The L.I.F.E. System in our spare time! This takes a lot of hard work and dedication. Creativity is always a great tool too. However none of this could be achieved without you; our LIFE line so to speak! Do you know that over 80% of our sales come through word of mouth referrals? So a big thank you to all fellow L.I.F.E. System Practitioners. Again this is while stocks last but if you know anyone that is interested in purchasing The L.I.F.E. System send them this info. They could get a laptop for only $399 USD with a complete L.I.F.E. System Purchase. Well we have the approval from the powers that be and we are now pleased to release The Costa Rica DVD’s. To make it more affordable we have broken the set of DVD’s into 2 separate packages.